ONE OWNER, EXCELLENT AUTOCHECK HISTORY REPORT, HEATED CLOTH SEATS, NAVIGATION, BACK UP CAMERA, BLIND SPOT MONITOR SYSTEM, REMOTE START, 4G LTE WI-FI, BLUETOOTH, ALL POWER OPTIONS, CHROME WHEELS, LOADED UP AND SHARP!!! 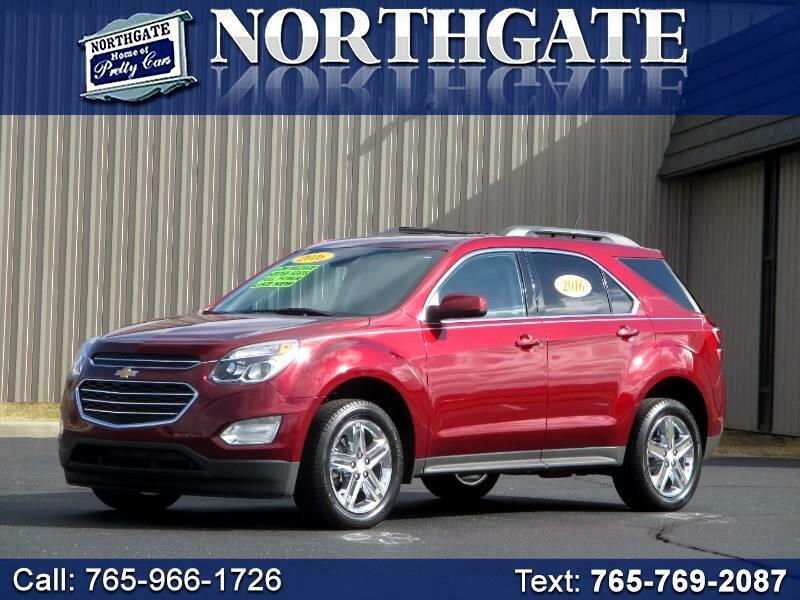 This 2016 Chevrolet Equinox LT has just 20,000 actual miles, the previous owner was a non smoker, no dings, no dents, no scratches, just like new condition inside and out. Serviced, inspected, and a spotless one owner Autocheck history report, this Equinox comes with the remainder of the manufacture's 3 yr or 36,000 mile bumper to bumper warranty as well as the 5 yr or 60,000 mile powertrain coverage. Siren Red Metallic, Black cloth interior, privacy glass, chrome sport wheels, Michelin all season tires. Loaded with options including the LT trim package, back up camera, blind spot monitor system, navigation, ultrasonic rear park assist bumper sensors, deluxe custom cloth interior, driver side power seat with lumbar, heated front seats, reclining front seats, center storage console with cup holders, rear seat cup holders, divided and fold down rear seats, Onstar, remote keyless entry, alarm, remote start, trip odometer and computer, compass, outside temp readout, driver information center, oil life and tire pressure monitors, 4G LTE WI-FI, bluetooth phone feature, clock, power windows and door locks, leather wrapped tilt and telescoping steering wheel, cruise control, air conditiong, XM satelite radio, am/fm stereo, steering wheel radio controls, remote control and heated outside rear view mirrors, illuminated vanity visors, daytime driving lights, automatic headlamps, multi speed delay windshield wipers, rear window defroster, rear window wiper and washer, and more. Good gas mileage and powerful 2.4 Litre fuel injected 4 cylinder engine, automatic transmission, traction and stability control systems, dual frontal air bags, frontal side impact air bags, side curtain air bags, anti lock brakes. Just like new and sharp!!! Please visit us at www.prettycarsatnorthgate.com to See More Pictures and Get Additional Information. You can Apply for Financing on our Website.